You're Invited! Special Needs Conference!
. Illuminating Breakout Sessions .
. Parallel Programs for Kids . Experience personal, family and spiritual growth in an inclusive, caring Jewish environment. At camp, families will celebrate Shabbat together, learn together, sing, dance and have fun together. You'll find a welcoming community of families having similar experiences who will become your friends for life. Activities include: outdoor games, Alpine climbing tower, arts and crafts, hiking, swimming, yoga, music, and talent show. Kids: Make new friends and challenge yourself. Parents: Relax, share common experiences and receive support. After you register here at Eventbrite, you will receive a confirmation with additional information about payment options as well as a complete family camp packet by mail and email. As I sat, enjoying the INCLUDE Tu B’Shevat Seder last month, I was struck by one particular aspect of the ceremony. In a traditional Tu B’Shevat seder, we eat three different types of fruit—fruits with one large inedible pit or seed (e.g., dates, olives, avocados), fruits with many small edible seeds (e.g., carobs, figs, blueberries), and nuts or fruits with inedible shells or peels (e.g., almonds, bananas). We drink fourdifferent cups of grape juice: one that is all red, one that is mostly red with a little white, one that is mostly white with a little red, and one that is all white. What struck me about this tradition is its celebration of difference. Each type of fruit or cup of grape juice is equally delicious, and each is equally important to the integrity of the seder. Just as this is true in a Tu B’Shevat seder, it is true in the larger Jewish community. We are blessed to have many different kinds of people in the Bay Area—people with different appearances, different traditions, different strengths, different challenges, and different learning styles. Judaism tells us that each of these people is equally important. Each member of our community matters. A common thread among us - our desire to learn and to connect with one another. While the Jewish community has made strides towards successful inclusion of many different types of people, there is still work to be done. Despite our best intentions, too many families with children with special needs have felt unwelcome—they have been looked at strangely when their child has a meltdown during Shabbat services, told that our educational programs are not able to support the needs of their children, or had to leave a community event because the environment was too overwhelming for their child’s sensory system. However, with increased awareness, knowledge and resources, more and more Jewish institutions across the Bay Area are investing in their ability to welcome everyone through their doors. They do this in many ways: providing professional development opportunities for their teachers, inclusive holiday programming for their congregations, developing support groups, chavurot and more. February is National Jewish Disability Awareness Month. We at Jewish LearningWorks, along with many of our community collaborators* are celebrating difference through many different programs. Between ourJewish Disability Awareness Month events, our Navigating Difference, Embracing Inclusion workshop series (a groundbreaking collaboration starting on February 23rd), our Special Needs Family Camp weekend and more, we are working every day to improve and extend Jewish learning to those who have had to live without it for too long. We are challenging ourselves to shift our attitudes, to recognize that having a disability is part of the human condition, and to see that humanity in each person we meet. Jewish Disability Awareness Month is recognized in February; the need to belong goes on month after month, day after day.Thank you for being a part of this holy work. *our community collaborators include: The SF-based Jewish Community Federation and Endowment Fund, Friendship Circle, Rosh Pina, The Contemporary Jewish Museum, Celebrations!, Be’chol Lashon, InterfaithFamily, Keshet, our INCLUDE North and South Peninsula partners, and many others. We are pleased to announce that INCLUDE is joining with Be'chol Lashon, InterfaithFamily, and Keshet on a groundbreaking series of interactive workshops on inclusion for synagogue communities. Registration is now open! Over the course of four Sunday afternoon workshops offered at various locations throughout the Bay Area, you will delve into the sometimes complicated issues that arise around inclusion. Assess your congregation’s inclusivity and discover new ways of building inclusion into worship, education, and community programming with other congregational representatives. Workshop dates are February 23, March 30, April 27, and June 8; attend just one or sign up for all four. The series is designed for all synagogue leaders, including congregational rabbis, educators, teachers, board members, staff, and lay people. February is Jewish Disability Awareness Month. We are proud to join the nation in raising awareness and promoting and supporting efforts to foster meaningful inclusion of people with disabilities and their families in Jewish communities worldwide. 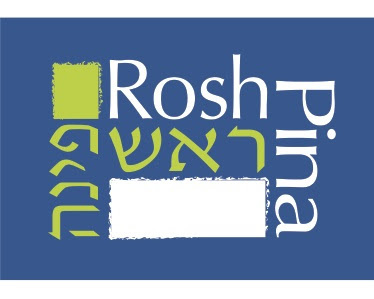 To that end, INCLUDE (a partnership of Jewish LearningWorks and the SF-based Jewish Community Federation and Endowment Fund) Rosh Pina, and the Contemporary Jewish Museum are co-sponsoring several free events around the Bay Area. See the Bay Area Inclusion Events page for the full list. The goal of Jewish Disability Awareness Month is to shift our attitudes to see that having a disability is part of the human condition-and to see that humanity in each person we meet. Jewish Disability Awareness Month is universally recognized in February, but the need to belong and be included goes on month after month, day after day.